For many weeks now, I’ve been on a hunt for the perfect red shoes. I figured with christmas coming and all, finding the perfect pair will be a breeze . But then I realized, after a few trips to different shoe stores, that it is kinda hard finding the perfect pair that will not only fit you beautifully but will fit your budget as well. I spotted a couple of red shoes while doing the rounds of my favorite malls (Robinsons, ATC and Filinvest). But, they are either too red or too pale. Some doesn’t compliment my feet well or extremely nice but extremely expensive too. My last shot was SM Southmall and true enough, I found my perfect red shoes there. Oooops, this red shoes is fab but this is not "the one." 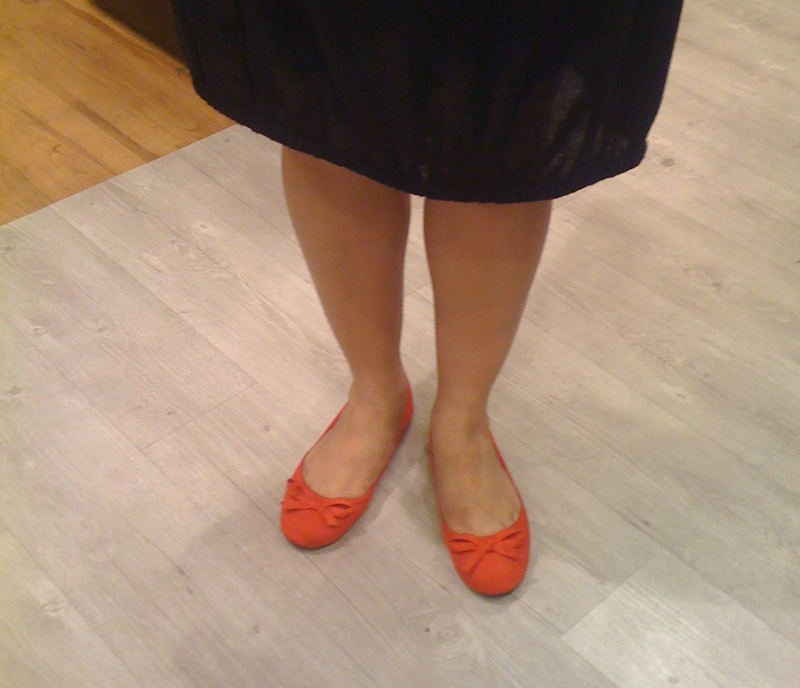 I got myself a red ballerina-style flat shoes from Solemate, a brand exclusively made for SM department store. 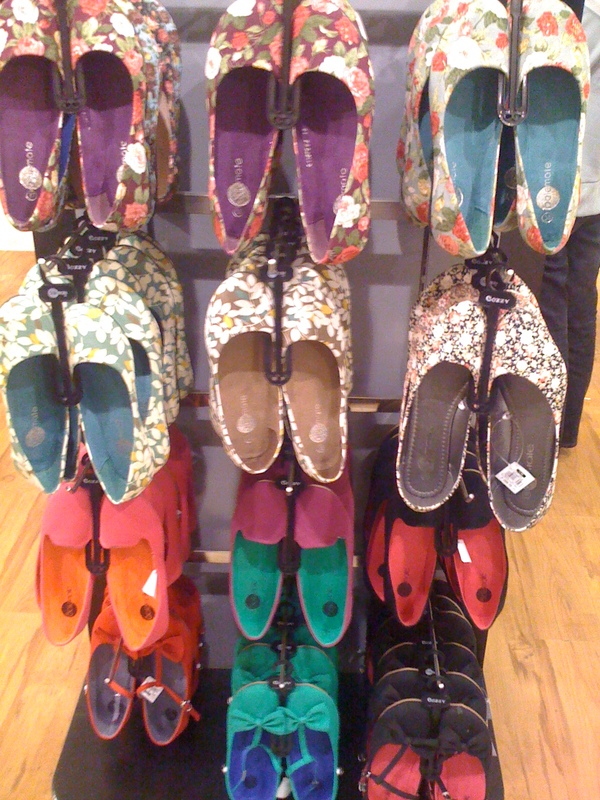 They have a wide selection of flats in different styles and colors. They are super affordable too as they sell for only 299.75 a pair. 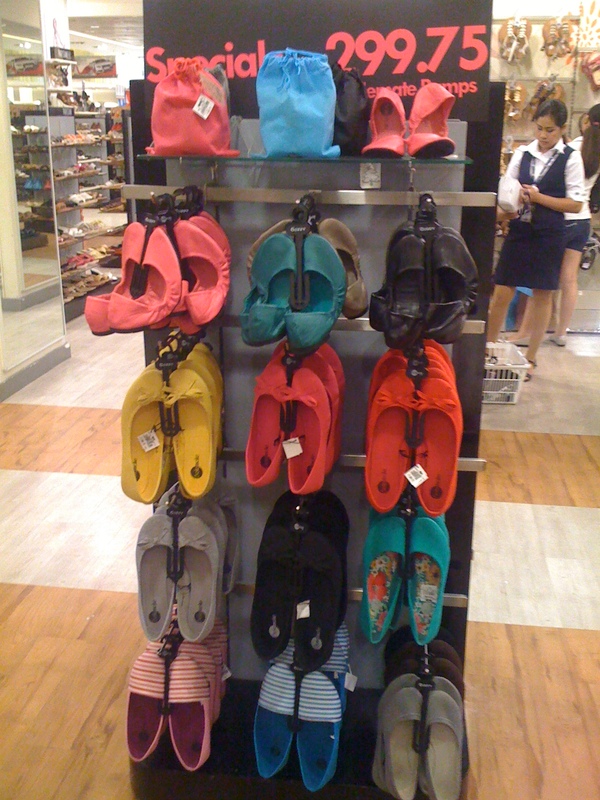 Solemate reminds me of my favorite shoe shop in Singapore, Rubi, which has the cutest flats. They both offer flats in pretty styles and colors. Aside from red, I like the flats in gray shade and flower printed design. Solemate shoes are made of canvass though just like some of Rubi shoes, so they are exclusively for sunny days use only. One thing I love about Solemate’s flats is how super comfortable they are on the feet, you won’t have to worry about getting blisters when you wear them for the first time. Upon close inspection, stitching and soles are done smoothly, so no need to worry about ribbon getting off or soles getting left behind as you walk, after a couple of use. cute! I dont have read shoes,, Might as well also bought one this xmas..
I¡¦m not sure where you’re getting your information, however great topic. I must spend a while finding out more or figuring out more. Thank you for wonderful information I used to be searching for this information for my mission.